Renowned performer, musician and storyteller Bronwyn Vaughan will visit Warners Bay for one performance only! Madame BonBon creates clothes, hats and shoes fit for a Maharaja, a Sultan, a Queen. She comes from a long line of tailors, milliners and shoemakers who have made and sold their creations in exotic locations all over the world. 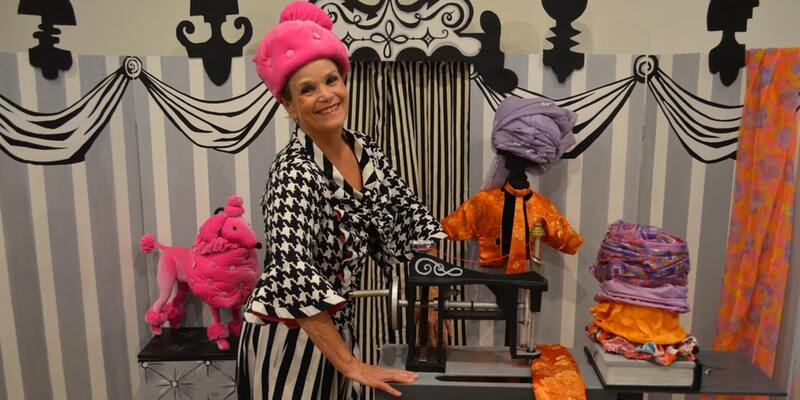 With her pet poodle, Peaches, she tells their tales about fine clothes and fantastic fabrics. Based on stories from France, Turkey, India and Russia and told with beautiful props, puppets, sets, costumes, dance, music and song this delightful show explores the way we find individual and cultural expression through clothing, costume and dress.